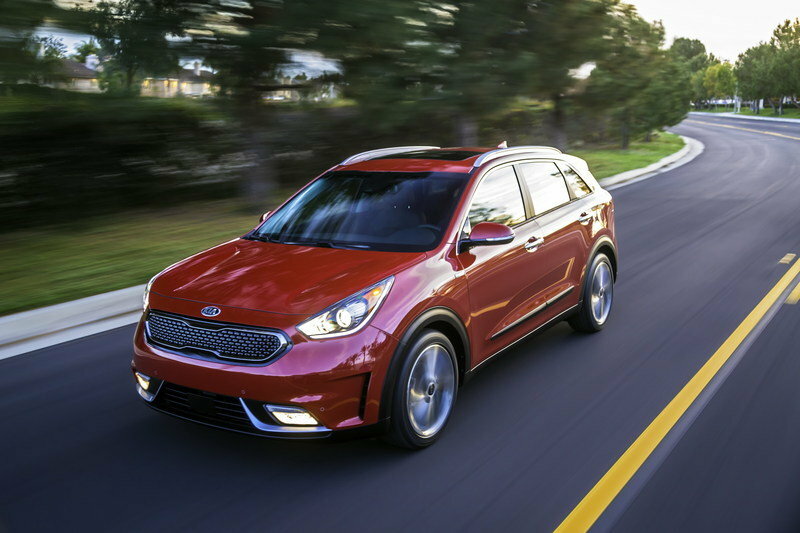 What’s New About The Niro? 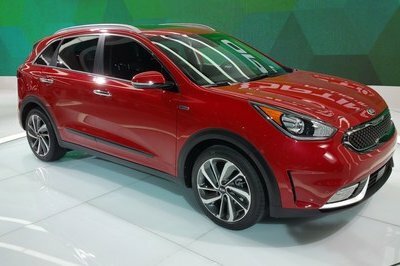 The styling has been changed to more closely reflect what the all-electric e-Niro (known as Niro Electric in North America) looks like. The front light clusters have now been redesigned to include Kia’s “ice cube design," as has the front bumper, and buyers can now also opt for full-LED headlights for the first time. Rear lights clusters are also new and they too feature LED illumination and with the redesigned rear bumper, they keep the back end looking fresh. But Kia assures us that this is a much deeper revamp that also concentrated on the interior - materials are said to have been improved and there is now apparently extra breath for customizing the cabin. There are now two color packs to choose from: Red-Orange or Plum - the former adds contrasting stitching with matching dashboard trim pieces, while the latter adds perforated leather seat upholstery not just on the seats, but also throughout the cabin and it comes with satin chrome trim pieces for the dashboard. Inside there’s also a new optional 10.25-inch infotainment screen, although the base one the car comes with is an 8.0-inch screen. There’s also another screen, in the instrument cluster, a 4.2-inch screen that can be upgraded to a 7.0-inch “Supervision instrument cluster.” The Niro is Kia’s first European model to feature UVO Connect, a telematics system that comes with an app for your Android or Apple smartphone. 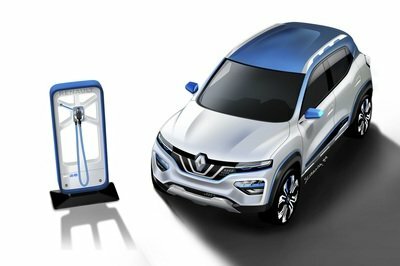 The only vaguely mechanical change has to do with the fact that the Niro hybrid and plug-in hybrid now have paddle shifters on the steering wheel. But unlike in all other hybrids where such paddles might allow the driver to adjust brake regeneration or non-gear change-related functions, in the Niro you do actually swap cogs with them. The Niro is in a very small club of hybrid cars with actual gearboxes, in its case a very good six-speed dual-clutch unit. Refreshed Niro models also have stop-and-go functionality for the Smart Cruise Control to complete the slew of active and passive safety aids that include forward Collision-avoidance Assist, Lane Keeping Assist, Driver Attention Warning, High Beam Assist, Blind-spot Collision Warning, Rear Cross-traffic Collision Warning, and Intelligent Speed Limit Warning. 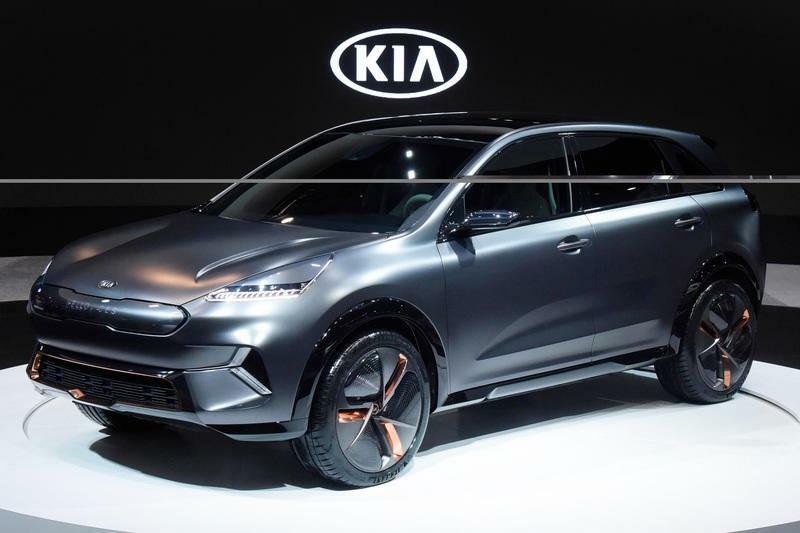 The updated Niro hybrid and plug-in hybrid will go on sale in Europe in the second quarter of 2019 and they retain the same seven-year or 150,000-kilometer warranty as the outgoing model (and all other Kias, for that matter). Read our full review on the 2019 Kia e-Niro. 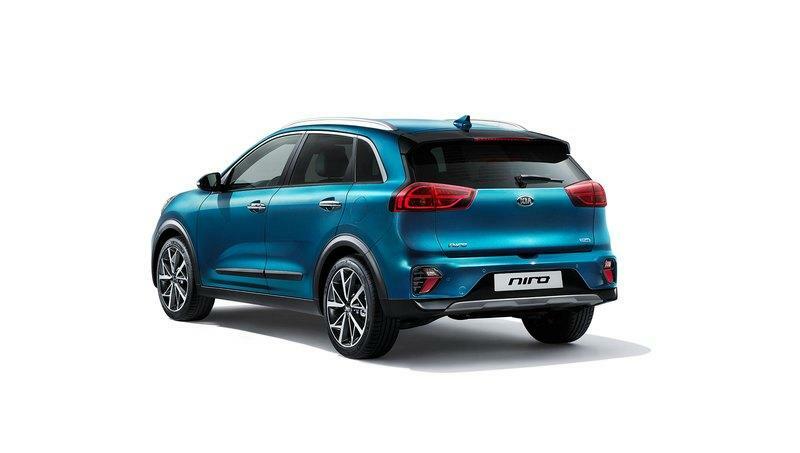 The Niro, which combines crossover style practicality with ultra-low hybrid emissions, has been enhanced for 2019 with a new exterior design, a more upscale, high-quality interior, and new interior colour options. 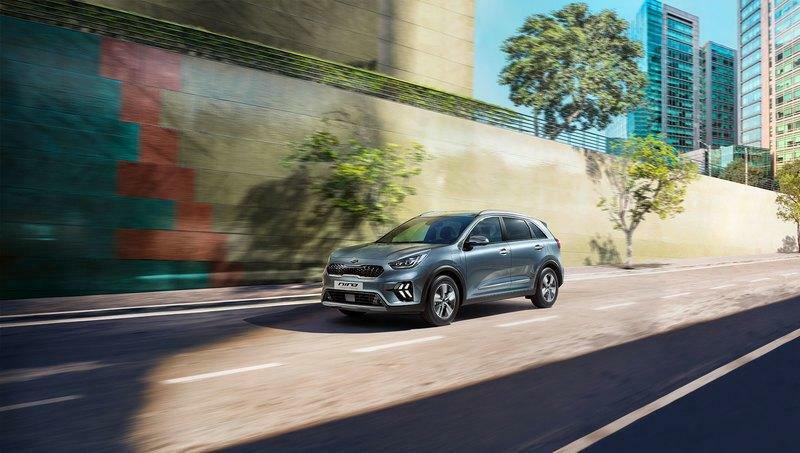 The Hybrid and Plug-in Hybrid models also feature Kia’s advanced new UVO CONNECT telematics system, which brings additional ‘connected’ functionality to the car. Since sales began in 2016, over 270,000 examples of the Niro have been sold globally, with more than 100,000 units sold in Europe. 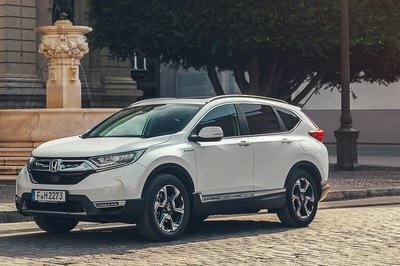 In the UK, over 12,900 PHEV and HEV models have been sold since 2016. 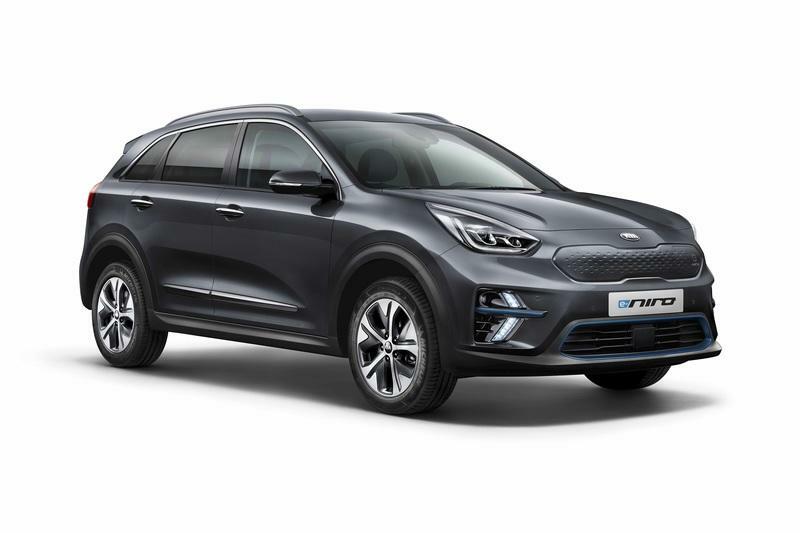 The Niro crossover was Kia’s fifth best-selling model in Europe in 2018, with sales growing 33 per cent to 45,255 units – including 34,642 hybrids and 9,951 plug-in hybrids. The Niro range expanded at the end of 2018 with the launch of the fully-electric e-Niro. Uniquely among all hybrid cars in Europe, the Niro is sold with Kia’s industry-leading seven-year, 100,000-mile warranty as standard. 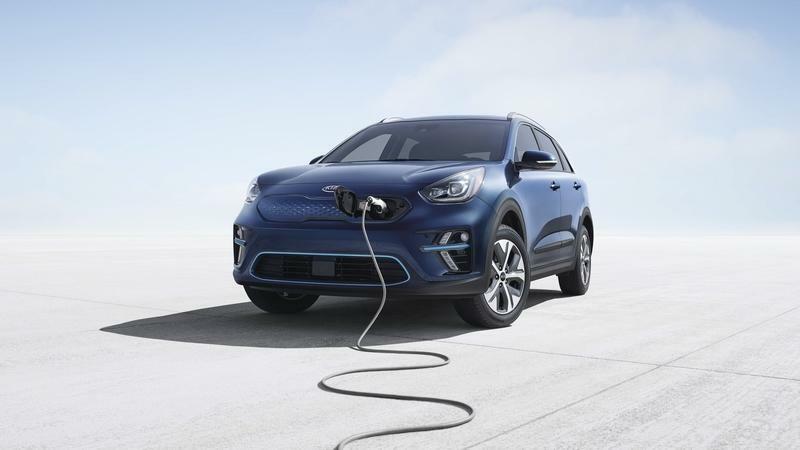 European sales of the upgraded Kia Niro Hybrid and Niro Plug-in Hybrid start during the second quarter of 2019. UK on-sale date, specification and pricing will be confirmed in due course. The Niro Hybrid now provides more variant options to buyers, offered with a choice of two 16-inch alloy wheel designs, as well as an all-new 18-inch dual-tone diamond-cut alloy wheel. The Niro Plug-in Hybrid is available with newly-designed 16-inch alloy wheels with dark grey inserts, contributing to its unique stance and design. The Niro range is now available with new options in the form of two colour packs. Depending on vehicle specification and market, the Niro can be finished with Red-Orange or Plum colour packs, adding a dash of colour and flair to the cabin. The Red-Orange colour pack adds colour contrast stitching to all cabin upholstery in a warm shade of red, with matching red-orange dashboard trim. The Plum colour pack adds new plum-coloured perforated leather upholstery with warm purple stitching on the seats and throughout the cabin, a new plum-coloured arm-rest in the doors, and satin chrome dashboard trim. 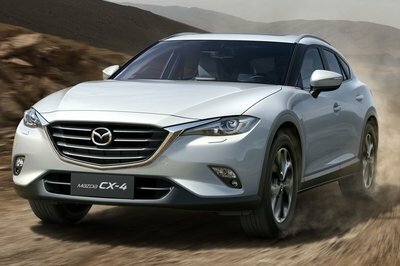 The interior also engages drivers more with the adoption of wheel-mounted paddle-shifters to change gear. The Niro Hybrid and Plug-in Hybrid are both equipped with a slick-shifting six-speed dual-clutch transmission, delivering more direct and immediate responses – and a more entertaining drive – than traditional electronic continuously-variable transmissions (e-CVT) found on other hybrids. Lane Following Assist, is also available for the first time on Niro Hybrid and Plug-in Hybrid models, following its introduction on the electric e-Niro. This technology tracks vehicles in front of the car in traffic, and detects road markings to keep the Niro in its lane on the motorway. The system controls acceleration, braking and steering depending on the convoy of vehicles in front, using external sensors to maintain a safe distance, while also assisting the driver change lanes. Lane Following Assist operates between zero and 180 kph. 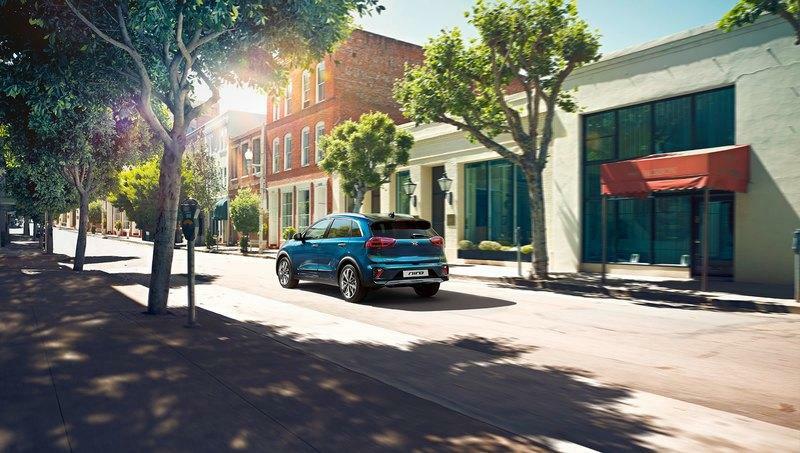 The Niro continues to be offered with a comprehensive suite of active safety technologies. 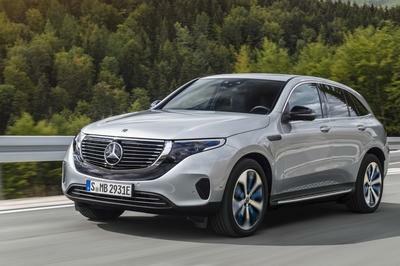 Depending on specification, these include Forward Collision-avoidance Assist, Lane Keeping Assist, Driver Attention Warning, High Beam Assist, Blind-spot Collision Warning, Rear Cross-traffic Collision Warning, and Intelligent Speed Limit Warning, in addition to the new electronic parking brake and larger rear brakes..